A charming pair of mixed method engravings by J. Jenkins with additional aquatinting by Francis Jukes, after the paintings by William Mason and published in London in 1786. 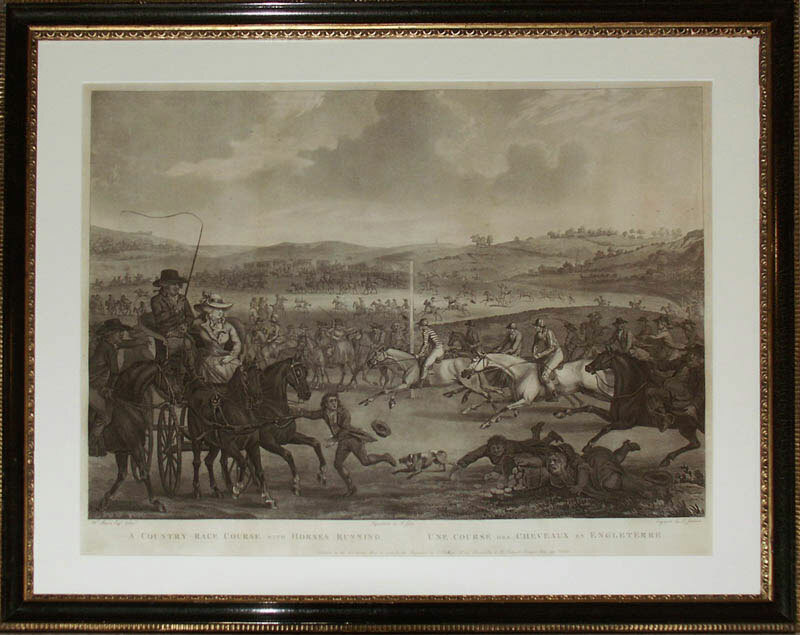 These evocative images encapsulate all the excitement and chaos of a typical country race meeting towards the end of the eighteenth century. William Mason was a poet and artist whose work was considered worthy of inclusion at the Royal Academy between 1782 and 1786. Francis Jukes, responsible for aquatinting these plates, was one of the most accomplished exponents of this technique and his services were highly sought after at the time by artists and engravers alike. 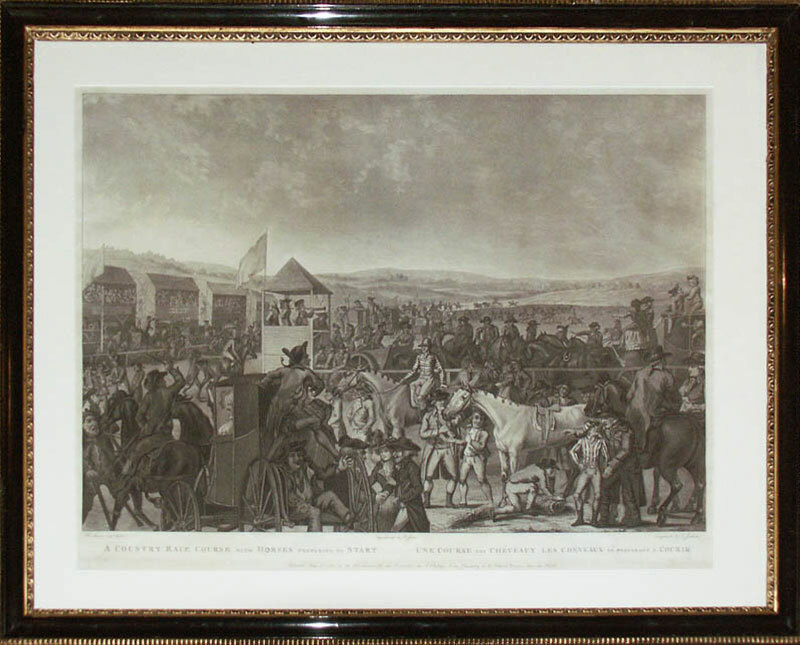 There is an astonishing level of detail in these prints and they represent a delightful juxtaposition of caricature and serious equestrian art. High society can be seen rubbing shoulders with the hoi polloi, a cause for great concern amongst contemporary social commentators. There was a serious debate at the time about the loss of moral and social dignity risked by members of the upper classes visiting vulgar race meetings out of town. Interestingly the publishers chose to give the titles in both English and French with a view to an additional market across the channel so this moral message had great poignancy only three years before the start of the French Revolution. In the first scene the horses are preparing for the race and being paraded around the paddock but by the second scene the race is in full swing.